Whether for the high street or for high fashion, the recent Future Fabrics Expo showcase in London offered designers a wonderland of opportunity and choice. If it wasn’t there, it probably doesn’t exist – from samples of the hottest and most sustainable materials and designs to compostable packaging, it was all on display! With the large amount of waste which is created within the sector, fashion’s current practices cannot continue much longer, not with an estimated 73% of the materials used to make clothes ending up in landfill, or being burned at the end of their life, while just 1% of old garments turned into new ones. 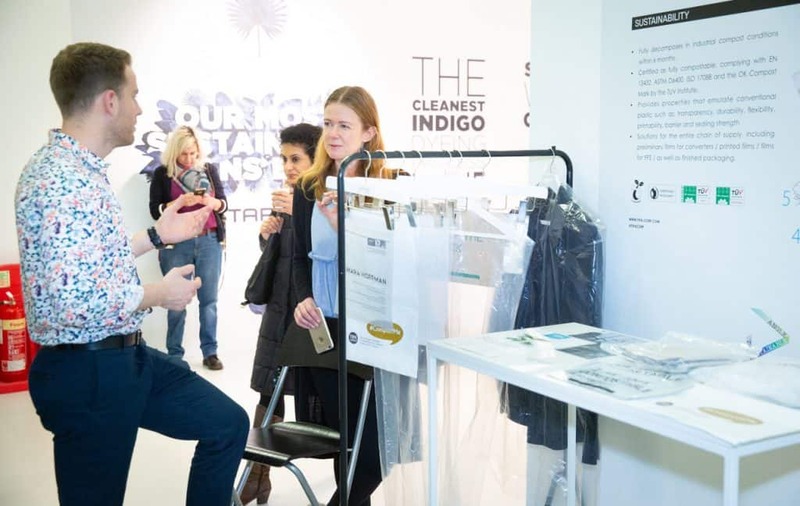 Which is why the recent Future Fabrics Expo in London, the largest dedicated showcase of sustainable materials for the fashion and textile industry in Europe, was such an important event. 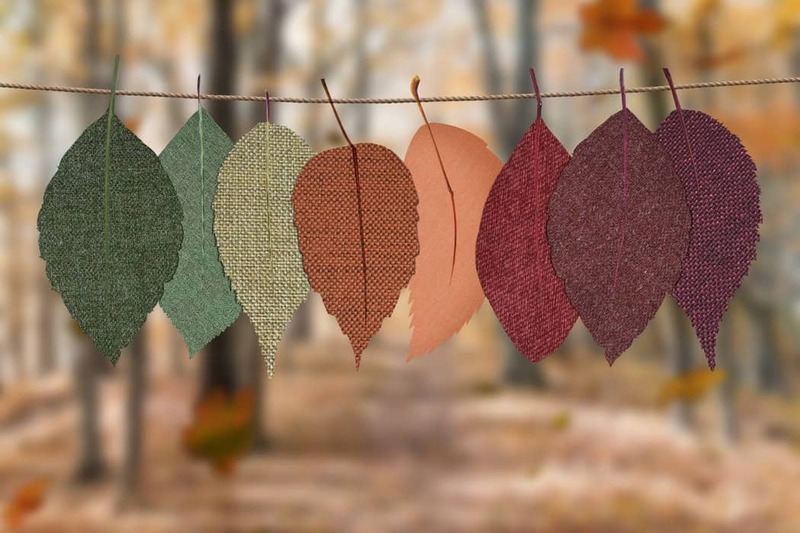 It not only promoted sustainable fabrics, it also connected materials suppliers with visionary designers and brands – to realize a vision that fashion can have a positive impact upon nature and communities by working with safe, renewable materials and responsible practices throughout the supply chain. Not only were thousands of commercially-available fabrics and materials with a lower environmental footprint featured at the expo, the seminar program series which took place during the event was a good starting point for a cultural reset to a circular approach to fashion. The seminars included a panel discussing waste and recycling moderated by Vogue Australia’s sustainability editor Clare Press, a conversation between Stella McCartney’s Claire Bergkamp and Orsola de Castro from Fashion Revolution, and a solo presentation from Lenzing’s Krishna Manda on the company’s approach to circularity. 8th Future Fabrics Expo at Victoria House in London January 25, 2019. This image is copyright Suzanne Plunkett 2019©. 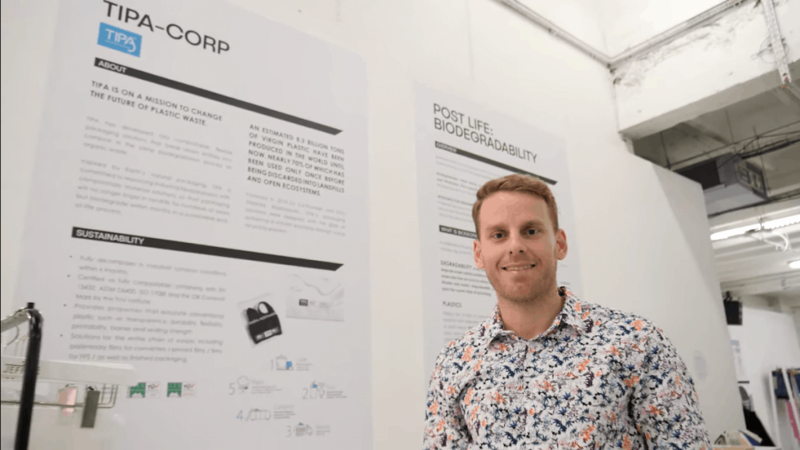 One of the most exciting parts of the Expo was an “Innovation Hub” – a collaboration with Fashion for Good including the Fashion for Good Plug and Play Accelerator Programme. Material recyclability and biodegradability was featured in a dedicated display which focused on the latest technological developments and forward-thinking concept designs. Cutting edge materials showcased included biodegradable sequins, textiles derived from algae and agricultural food waste, recycled leather and innovative dyeing techniques. The display also highlighted the urgent need to develop alternatives to single-use plastic packaging and to push innovation on plastic waste recycling. TIPA was one of a few selected startups chosen to present their innovative contributions to the fashion industry at the Innovation Hub. The company presented their sustainable alternative to plastic bags for packaging, which fully decomposes in compost conditions within 6 months, and displayed samples from designers like Gabriella Hearst and Stella McCartney who are already using TIPA products. The result of the expo? 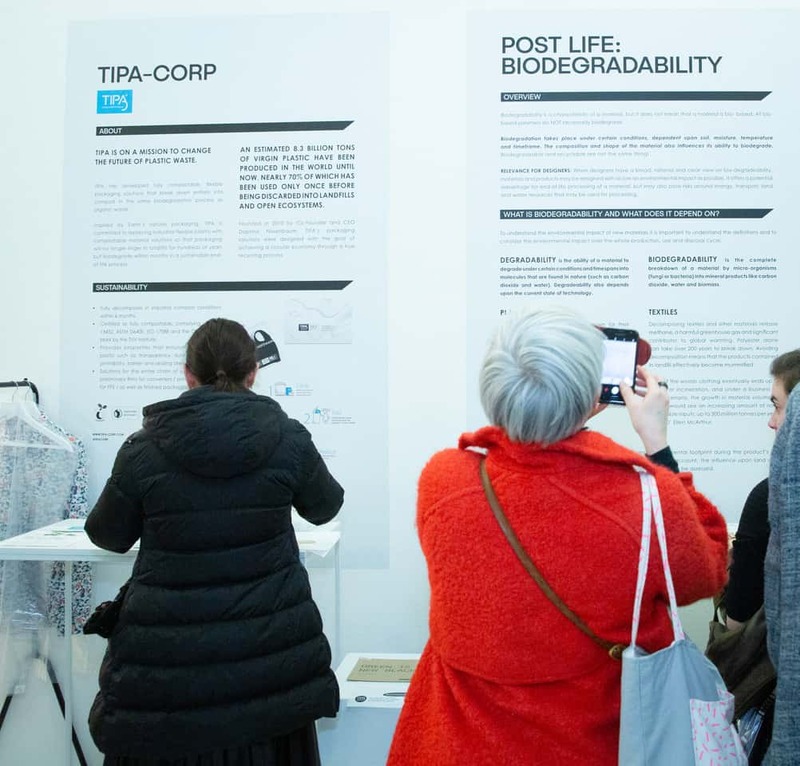 From fiber to garment to compostable garment bags, the Future Fabric Expo offered inspiration on how the environmental impacts of fashion can be reduced through innovation in textiles, novel ideas to transform the fashion system and design practice. Nothing like a concentrated curated sustainability textiles showcase to push the “fast forward” on making fashion circular! 8th Future Fabrics Expo at Victoria House in London January 24, 2019. This image is copyright Suzanne Plunkett 2019©.